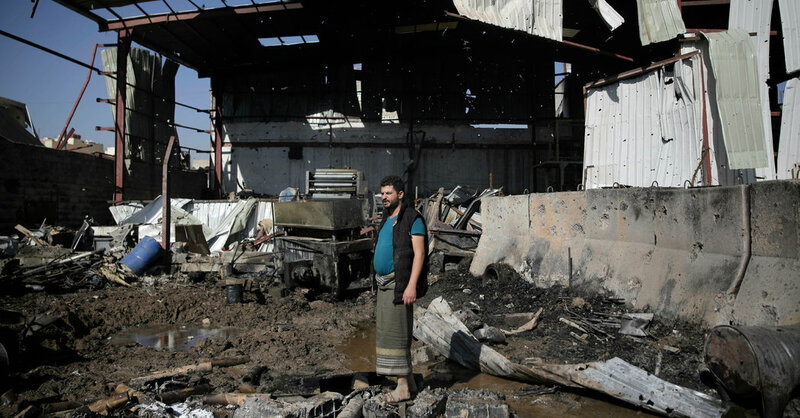 WASHINGTON — President Trump vetoed a bipartisan resolution on Tuesday that would have forced an end to United States military involvement in Saudi Arabia’s war in Yemen, only the second time he has used his power to block legislation passed by both houses of Congress. The resolution invoked the War Powers Act in an effort to distance the United States from a four-year conflict that has killed thousands of civilians and resulted in a widespread famine. The measure was a rebuke of Mr. Trump’s support for Saudi Arabia despite the killing of the dissident journalist Jamal Khashoggi, a Virginia resident. “This resolution is an unnecessary, dangerous attempt to weaken my constitutional authorities, endangering the lives of American citizens and brave service members, both today and in the future,” Mr. Trump said in his veto message. The veto on Tuesday came only a month after Mr. Trump similarly rejected a bipartisan measure that would have overturned his declaration of a national emergency at the southwestern border. Congress failed to override that veto and appears similarly unlikely to muster the votes to override the Yemen veto.